As a mad Tunisian crochet devotee, I had struggled to find my perfect hook. Spoiler: I’ve now found my perfect hooks – this is one of them. I should take a step back and explain myself. 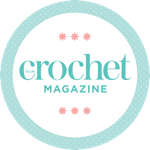 I am also a “normal” crocheter, and I can still remember the first time I tried a Clover soft touch crochet hook – it was love at first stitch. I still feel the same – the way the hooks glide through the stitches, the comfort of the shape of the handle, even the way the colour has started to wear off my 3.75mm hook after using it so heavily in the last year. We’re meant to be. Unfortunately though, I’d really struggled to find my one true love when it came to Tunisian crochet hooks. I think I was looking in the wrong places. You see, with Tunisian crochet still being a bit of a third wheel in the yarn craft arena, the hooks are harder to come by. I found a few on the usual sites, and I eventually bought myself a cheap set of bamboo extended hooks from Amazon, but nothing really clicked with me. I knew I was preferring my extended hooks to the metal ones I’d started with – the warmth of the bamboo is so much easier on the hands than metal – but my cheap set weren’t well finished off, and were made of poor quality bamboo, catching and fraying my yarn quite often instead of giving me the glide. I’m all about the glide. I started to think that I was destined to just make do with sub-par Tunisian crochet hooks. I was coming to terms with it. And then the Kinki Amibari (KA) Flex hook landed on my doormat. I’ve got the glide back. I LOVE this hook. Aside from being a looker, the KA Flex hook is really fantastic to use. The extender cable feels like it’s fixed on really well, and it swivels! This means it won’t twist your stitches around or tangle when you put your project away. It’s also a manageable length – my cheap set have extenders which are so long they drag on the floor while I’m working. Apart from anything else, this makes the cats think they’re toys – not ideal when you’re setting up a complicated forward pass! The extender cable length is perfect – long enough to hold a lot of stitches, but not so long it tangles when not in use. Then I tried the double ended Kinki Amibari Afghan hook. I thought I didn’t like the unwieldy fixed length hooks – but it turns out this is anything but an unwieldy hook. The finish on this hook is incredible – both ends have the glide factor, and the length is comfortable to hold. It’s a joy. It’s so good I don’t even know what my hook preference is any more. But let’s get back to the glide. You get a good glide with a metal hook – generally, metal will go through your stitches just fine. But with bamboo, the finish has to be right for the hook to work. The cheap set I got from Amazon were bamboo – but badly finished, meaning that even with their deep varnish all over them, they would not glide through my stitches. They caught and snagged at my yarn, leaving me with a fluffy, splitty mess. The KA hooks are finished perfectly. They glide into the stitches, but because they are bamboo they have a bit of grip on the shaft of the hook. When I hand knit, I always choose wooden or bamboo needles because of this grip – you get the same benefit with the KA hooks. An added bonus is that a good bamboo hook (and these are the best – KA only use the finest aged bamboo in Japan) will get better with age and use. I’m working on getting myself a full set of KA hooks (Mr Elsie Pop, if you’re reading this, it’s my birthday soon!) so I may be forced to use some of my old kit for certain projects. But I won’t willingly be buying any other Tunisian crochet hooks from now on. These Kinki Amibari crochet hooks are available, alongside a selection of other lengths and gauges, through Artesano yarns. I’ve already made my feelings clear about how much I love Artesano’s range of gorgeous alpaca yarns – and their accessories are just as good as their yarn! Disclosure: I was sent one KA flex hook and one KA Afghan hook by the lovely Artesano yarns for review purposes. However, as always, my review is completely honest. And I’ve already bought more of these with my own money as I love them so much! so glad you found hooks that you enjoy using! It’s so true, the right tools make for a world of difference in our crafting experience.